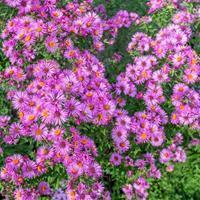 Also known as aromatic aster, for its narrow foliage is refreshing and minty. 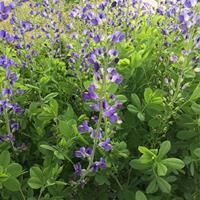 A favorite passalong plant originally from Tennessee by way of Texas and Raydon Alexander’s garden. 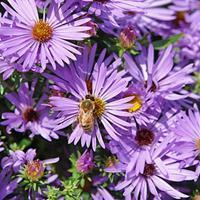 Long-blooming large deep lavender flowers, a lovely mounding form, and a great wildlife plant. Early to late fall bloom. Attracts benefial insect tachinid flies. Balloon flower is for those of us that love the tall lavender blue campanulas of spring and just hate to see them go, this trouble free, long-lived stalwart of summer gardens brings the same tall wands of lavender blue, but in a richer violet blue more suited to the warmer and brighter colors of summer. The dusty blue buds swell into a balloon and then open into deep-throated stars, late in the day closing to be replaced by another the next day. Deadheading is a must, but not a chore, I, for one, can’t resist the satisfying “pop” as the faded flowers separate from the stem. The glossy dark green leaves turn a wonderful yellow in fall, adding another season of interest. If your plants get too tall and need corralling, try pinching the stems once in mid spring for more compact branching growth. 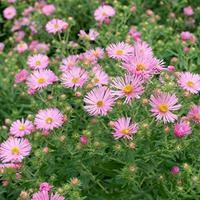 This deer-proof, North American native perennial will attract a plethora of pollinators with its lavender-pink blossoms over a long summer bloom period. Clumps of attractive grey-green foliage may darken as the air chills come autumn. The aromatic leaves are often used in teas. Self sows and spreads underground via rhizomes. Pinch back after blooming to promote a bushier habit. Butterflies and bees will delight in the purple bottlebrushes, which bloom from the top down. Combined with its narrow dark green leaves, this tall, deer-proof native adds unusual texture to perennial borders and naturalized spaces. Listed in a 1897 catalog. Also known as Silkweed and Pleurisy-root, it was employed medicinally. The Native Americans of the Northeast called it "wound medicine"; they pulverized dried roots and dusted the powder into cuts with a turkey feather. Its range extends from the East to the Rocky Mountains in dry soils. 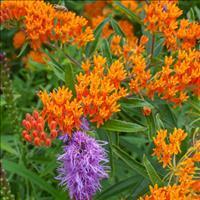 The orange flowers cover the plant in midsummer to early fall, attracting butterflies in great numbers. Listed in an 1827 catalog. March and April ship dates may ship as dormant plants. Also known as Silkweed and Pleurisy-root, it was employed medicinally. The Native Americans of the Northeast called it "wound medicine"; they pulverized dried roots and dusted the powder into cuts with a turkey feather. Its range extends from the East to the Rocky Mountains in dry soils. 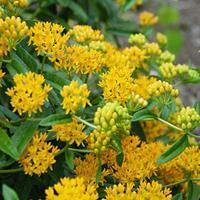 The orange flowers cover the plant in midsummer to early fall, attracting butterflies in great numbers. Listed in an 1827 catalog. 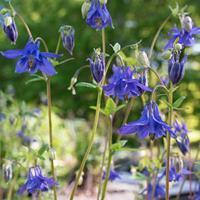 A tall spring blooming columbine with many inky blue spurred flowers dangling from wiry stems, giving a candelabra effect. Found in the mountains of Japan, it is very hardy and great in combination with golden-leafed feverfew 'Aureum in spring. Sorry, this product is not available in 2019 due to a crop failure. Pure red flowers are not all that common, often there is a purple cast or an orangey tone. 'Crimson Star' has huge true red flowers surrounded by a pristine white corolla on a spring blooming, compact plant. Self sows. An antique form with short spurs of mixed colors of dark rose, violet, pink and white. 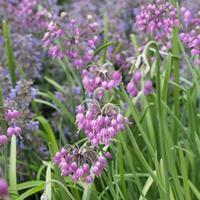 Jewels of the late spring garden combined with young fronds of bronze fennel. Fertile, well-drained soils. Self sows.